Thanks to all our new house leaders, students and house teachers for making the 1st house event a great afternoon! CONGRATS TO THE WHITE TIGERS WHO WON THE SEMESTER 2 CHAMPIONSHIP! Last Friday was a great success and students really enjoyed being back out on the field playing house sports! We also took house pictures (shown below). Thanks to all those competing, remember it’s 20 points for a win, 10 for a draw and 0 for a loss! 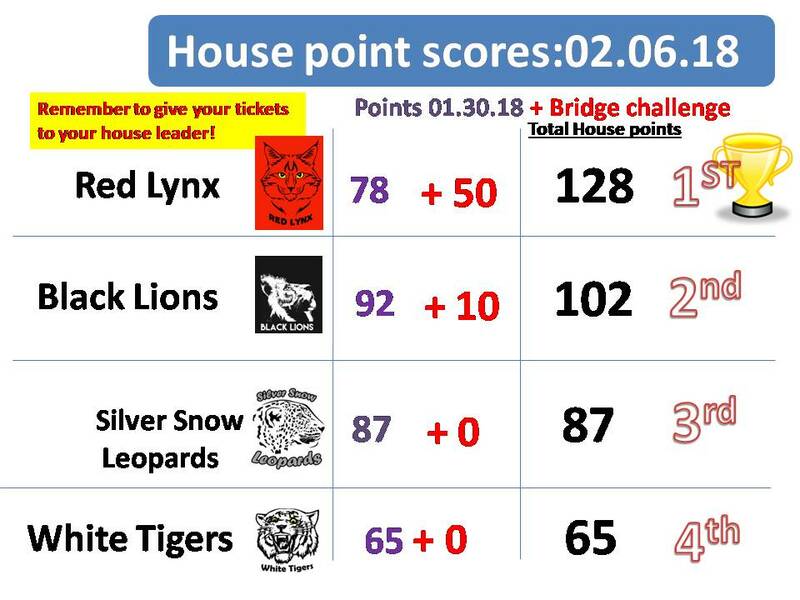 The current whole school points tally is below, congratulations to Red Lynx who’ve shot up the table into second place with a giant ticket count this month! Results and Table below. White tigers reward trip is to Jump 360, a large trampoline and sports park, with kids play area. This trip is for G3-12, please submit your forms to Miss Mei with 10RMB. 12.16.16 WHITE TIGERS ARE CHAMPIONS! The time is near, the final ticket count begins on 13th, PLEASE SUBMIT ALL HOUSE POINTS TO YOUR HOUSE LEADER!!! The table is close with white tigers trailing the black lions by 70! The race for the championship is still very close – the White Tigers are not far behind! – Make sure you submit all tickets before the 13th December, you can make a difference!! Jogathon was again a great success and special praise must go to the members of staff who helped all day, the day couldn’t have happened without you! Thanks to the parents for their kind contributions and attendance! Also, We would like to thank our SLAS PTA parents for holding a wonderful Kiosk during Jogathon. They brought a delicious variety of sancks, fruits, and drinks. Funds raised by this event are used directly by our Athletic Department to buy new equipment and provide a better experience for our PE and other Athletic programs. Remember to submit your sponsor ship money to Mr Brown’s office 124 by 11.11.16! All funds go towards the schools athletics equipment!! Our back up rain date for Jogathon is 18th Nov. Please keep returning your money to Mr Brown’s office 124! our first draw for student of the month will also take place so get your house points in!! 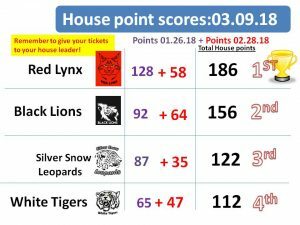 The first house events took place this week, results as follows! The 2016-17 year started off well this week with lots of enthusiasm! Mr Mariano’s 6th Grade class get a special mention this week – with 100% of them representing their house on Friday!! Prizes to come! Remember to wear your house shirts every Friday! We have been working all week to provide parents with a list of Athletics equipment we will be ordering with the money we raised. We have decided to buy equipment that can benefit all students in all grades. Thankyou so much to all the parents who donated money for Jogathon. The day was a great success and the students had a fantastic time. The event is was another reminder of the family, community feeling we have at our school, with students from every age group contributing to their house. Thankyou to the parents for their support on the day and to the PTSA for their Kiosk. We raised 15,290RMB! Which is a record for Jogathon!! What did we do with the money? ?Below is our first order of equipment for students throughout the school to benefit from! 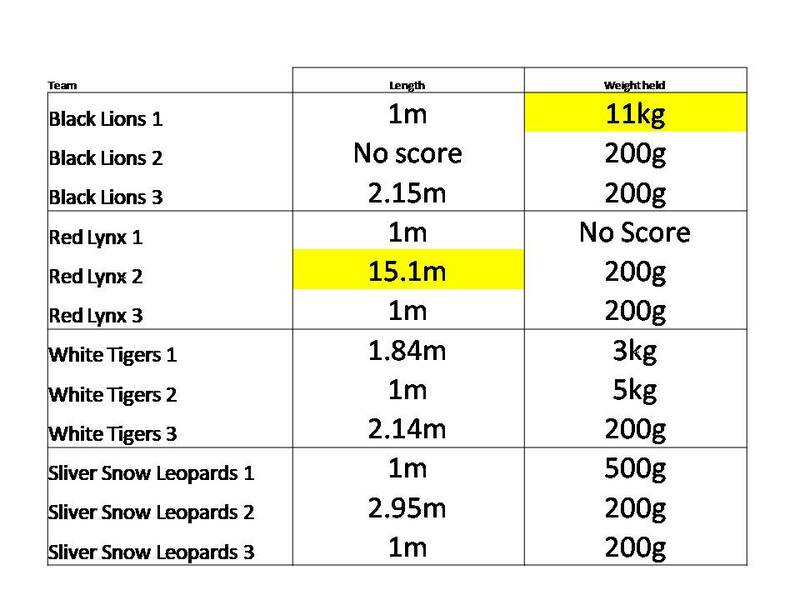 I’m please to announce that we have raised a massive 15,290 RMB with the Silver Snow Leopards rasing the most at 5,520RMB and gaining bonus points for doing so! With the money we plan to upgrade all our Athletics equipment, supplies and items from our Spark P.E. curriculum list. A full order list will be available next week. 03.18 House events last week were a great success, with our first ever game of ultimate Frisbee. The Black Lions take maximum points by winning in both MS Basketball and HS Ultimate Frisbee and they solidify their lead in the table with a huge total 323! Well done to high school Red Lynx who came back from 3-0 down to win their dodge ball game 8-6!! They are now second in the table! 03.11 Houses are training for ultimate Frisbee in PE lessons for the next house sports event, we have decided to switch from soccer as its more inclusive. Remember to wear your house T-shirts every Friday to represent your house!!! 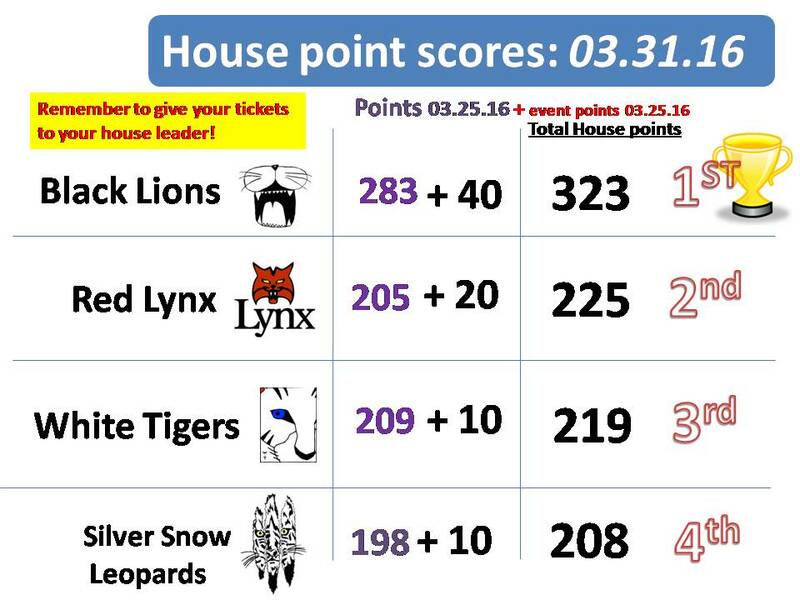 03.04 Black lions continue to dominate with good victories last house day. Excellent efforts by all! Table included. Red lynx house wishes to say thank you and and goodbye to their house leader Mr Troxell who leaves for Japan next week. Ms Gilpen will be taking over as house leader, we wish her all the best!!! After a close vote we have decided to replace Soccer in the house sports with Ultimate Frisbee! – the games will be more fun, inclusive and co -ed!!! 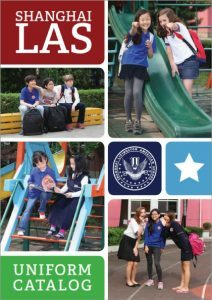 Students at Shanghai Livingston American School are placed into one of the four different school Houses. Students will feel a sense of belonging by becoming part of a House community. The House system develops positive interaction among grade levels from Pre-K through to Grade twelve. Students will have the opportunity to gain points, both individually and collectively for their House, through various activities/events held at the school. This in turn, will promote healthy competition and allow a sense of mentoring and leadership to build up between the older and the younger students. Each teaching staff member will be placed in a House. The even distribution of staff will allow students to become more familiar with those staff members they rarely have a chance to interact with, or turn to for support. The House system supports SLAS’s Core Values, points can be given based on students demonstrating targeted values. Reflecting our school and the success of our school sports teams, each House will be represented by a wildcat and a colour. 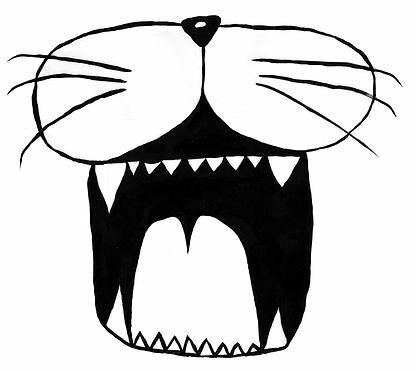 There are a total of 4 Houses, but they all share the same hierarchy, and combine together to create the SLAS Wildcats. 리빙스턴 미국학교 학생들은 4개의 다른 하우스로 배정되게 됩니다.학생들은 하우스에 속함으로서 공동체 의식을 갖게 됩니다. Pre-K부터 12학년까지 전학년이 하우스 시스템을 통해 서로 친밀한 교감을 갖게 됩니다. 학교에서 주관하는 갖가지 활동/행사에서 개인적으로나 단체적으로 좋은 활약을 함으로써 자신의 하우스를 위해 점수를 획득할 수 있습니다. 이렇게 함으로써 건전한 경쟁을 부추기고 다양한 연령대의 학생들 간에 서로 돕고 이끌어주는 정신을 갖게 됩니다. 모든 교사들도 하우스에 고루 배정됨으로써, 학생들이 평소에 소통할 기회가 별로 없었던 교사들과도 친숙해지고,교사의 도움을 받을 수 있습니다. 하우스 시스템은 리빙스턴 미국학교에서 목표하는 가치를 실현하는 학생들에게 주어지는 중요 덕목을 중요시합니다. 학교와 학교 스포츠팀의 성공을 반영하는 의미로서, 각 하우스는 서로 다른 와일드캣과 색깔을 갖게 됩니다. 모두 4개의 하우스가 있지만 모든 하우스가 동등하며, LAS 와일드캣을 창조하기 위해 함께 협력하게 됩니다. 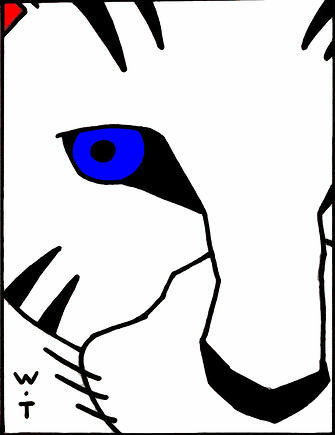 White Tigers have a great have a history of always challenging for the championship, they are a one-time winner of the House Cup (semester 2 2015). House Leader Mr Igor leads from the front and never gives up in their events! Ms Martin’s Black Lions are our current champions!! 2015-16 Semester 1 was a hugely successful term, purring home with a record number of points. 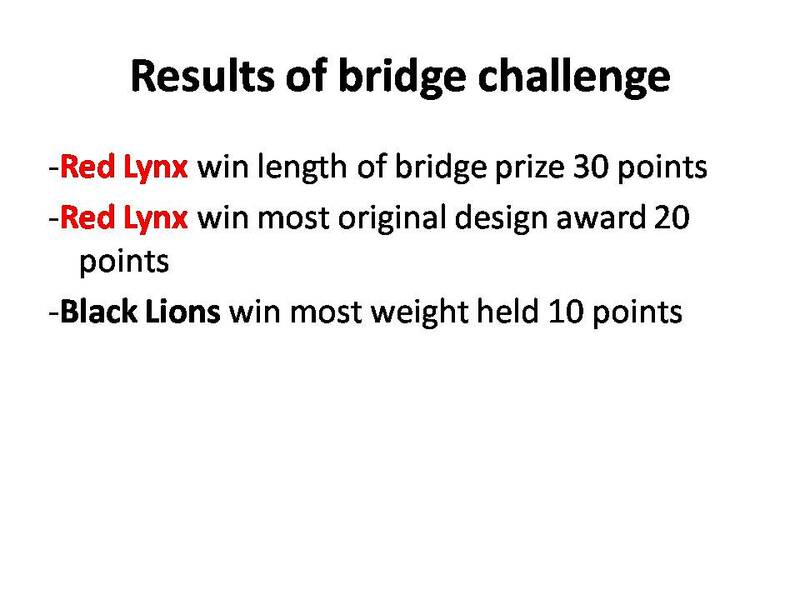 The Black Lions are particularly strong on sports, and with Jogathon coming up in 2016, who is going to stop them?! Red Lynx have never given up hope of winning their first championship and will not stop until they get there! Always the fun house to be in, Red Lynx spirit has never been in doubt! Mr Troxel has lead well for 3 years, he hands over this year to Ms Gilpin. Silver Snow Leopards are the most successful house in our school with 2 chamionships back to back (Semester 2 2013-14 and semester 1 2014-15) . Ms Marta leads a fierce team who excel in all areas!